As summer approaches, vacation season is in full swing. If you’re looking for a place to go but you’re not looking to book a trip of a tropical island, take a look at the ever-famous Palm Springs, California. Palm Springs is both a popular vacation destination as well as a popular place for people to go for spring break. So, whether you’re looking for a couples or family getaway this summer, or you want to get a group of friends together for a spring break vacation, Palm Springs will have a resort that meets your needs. Palms Springs is located in the Sonoran Desert, and it has a hot, desert climate. The summers are hot and the winters are warm and mild, which makes Palm Springs the perfect place to vacation all year round. Since Palm Springs is a popular destination vacation spot, there will be plenty of hotels and resort to sort through. Don’t worry, this list has you covered and brings to you the best hotels and resorts that the iconic and picturesque desert town of Palm Springs has to offer. This luxury resort is surrounded by picturesque palm trees and well-kept and manicured gardens. Parker Palm Springs has a number of accommodations for guests to stay in, including suites, villas and two-bedroom residences for guests who want to travel in style, or are traveling with a big family or group of friends. For dinner, guests have their pick of two on-site restaurants at Parker Palm Springs. Norma’s effers five-star breakfast all day, and Mister Parker’s that serves gourmet bistro foods for dinner. 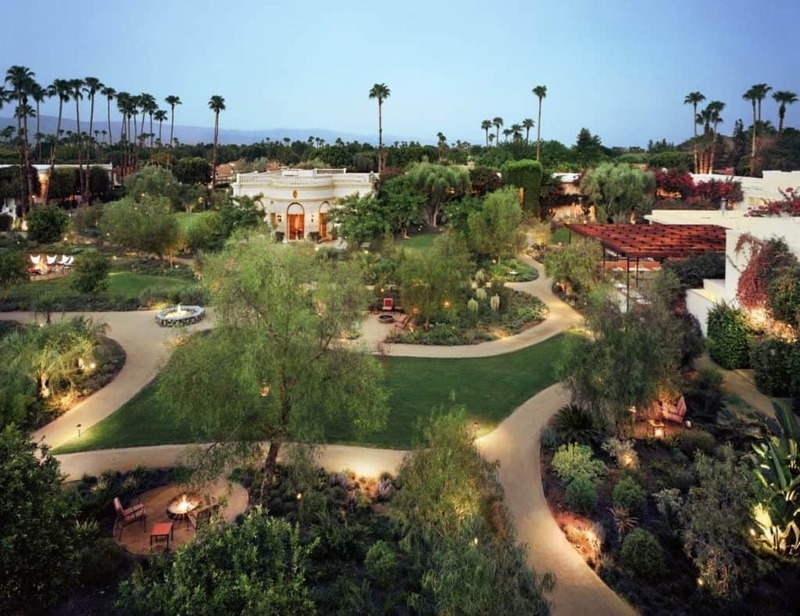 Along with the on-site spa, Parker Palm Springs offers luxury sports for guests to play such as tennis and croquet.